The Office of Institutional Research collects, manages, and distributes an array of UIC student data for university stakeholders and decision-makers. 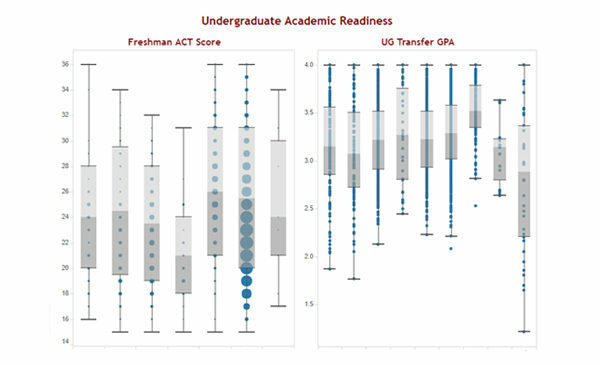 Data analysis creates timely information on factors affecting UIC students, including academic preparation, college applications, class enrollments, course credits, grade distributions, degree attainment, and outcome measures. Academic Readiness, Enrollment, Credit Hours, Degrees Conferred, Tuition and Fees. View first to second year retention rate among first-time, full-time students.